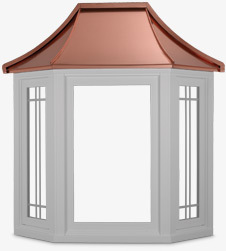 For the ultimate in drama and style, choose Sprouse Bay and Bow windows. Bay windows are three windows mulled at 30- or 45-degree angles. Bow windows are rounded and are mulled at 10-degrees. Both Bay and Bow windows feature grid and glass options found on other Sprouse products, as well as optional roofing systems, recessed lighting and interior casing for easy finishing.